If you are looking to protect your trinkets and valuables, then take a cue from ancient cultures and store them away in a box for the dead. 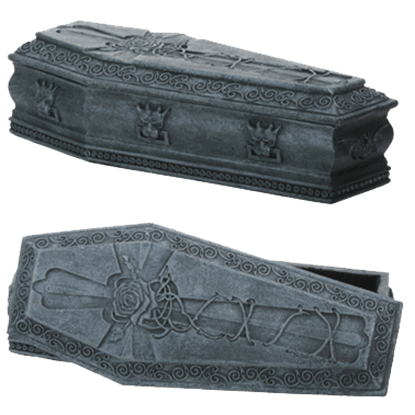 After all, only grave robbers will go through this Gargoyle Coffin Box looking for treasures. Not only is a gargoyle good for scaring malicious spirits away, but they make fantastic guardians for all sorts of trinkets. That is why the Gargoyle Sarcophagus Jewelry Box is a great place to store all of your smaller items. A classic element of Gothic culture, gargoyles are known to protect valuable items and places from unwanted visitors. 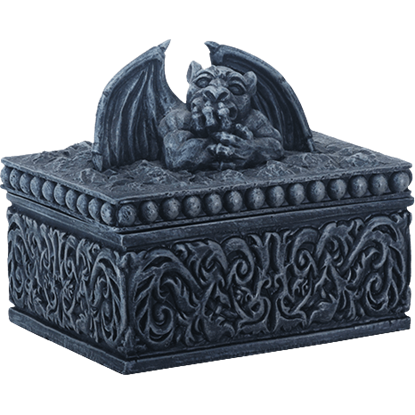 That being said, the Gargoyle Trinket Box is the perfect way to store your tiny treasures for safekeeping. 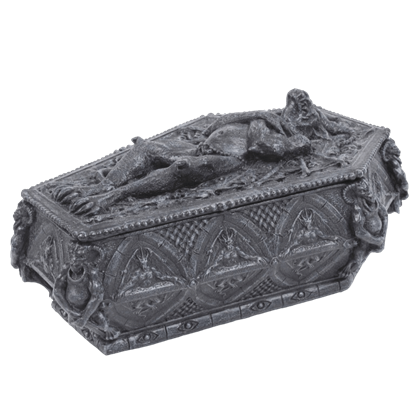 This gothic gargoyle trinket box is made of cold cast resin and measures 6.25 inches high and 6 inches wide. 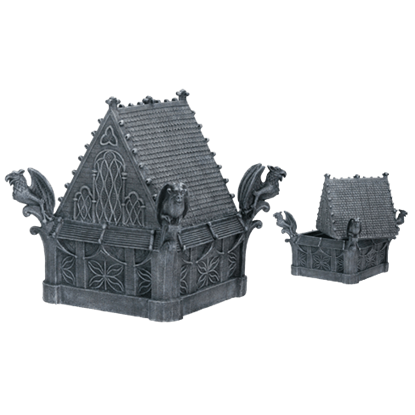 This box is beautifully detailed to represent gothic style building with four gargoyles perched on each of the four corners. 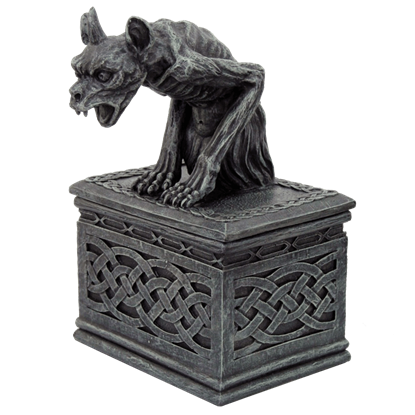 Many see the gargoyle as a sort of guardian, and in this Howling Gargoyle Box, it acts as that and more, sitting over the top of a trinket box that is perfect for organizing and storing away a variety of your important little items. You watch him, and he watches you right back. 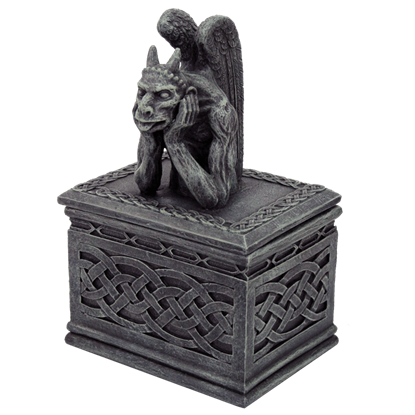 This Inquisitive Gargoyle Box features a curious and watchful gargoyle whose greatest pleasure in life is to sit back and enjoy the sights, and in this box, that is exactly what he does. 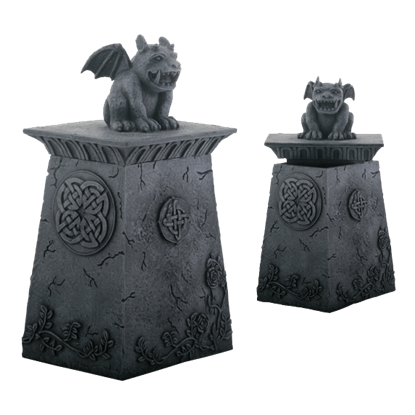 Gargoyles have long been thought of as defenders, so why not let one defend your belongings? This Perched Gargoyle Box not only comes complete with a jovial gargoyle but also acts as a display piece while secretly hiding its contents!